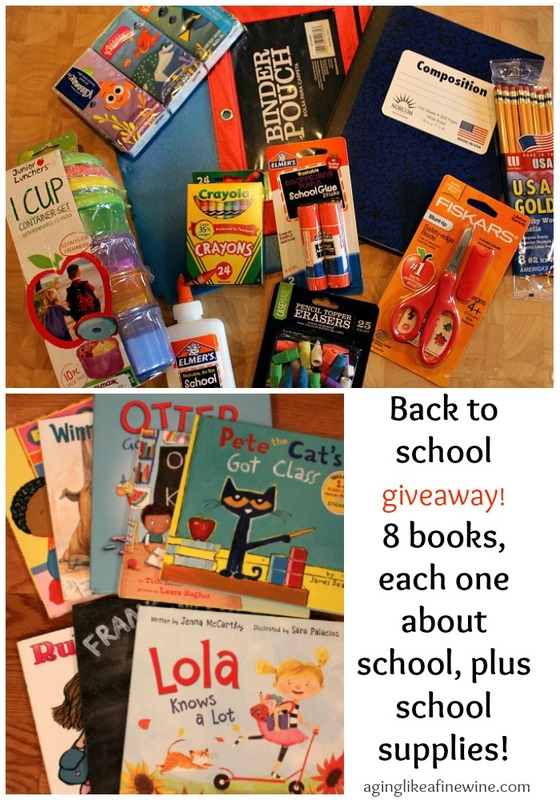 You won’t want to miss out on this super back to school giveaway! It’s almost that time; the first day of school is just around the corner! Are your special little ones headed off to school this year? Maybe they’re excited, or maybe they’re a little scared? This giveaway is full of books that will help your child or grandchild to feel a little less scared and a little more excited about going off to school. But wait, this giveaway isn’t just books! It contains lots of other things your child will need at school this year; and give you a little break on the expense! 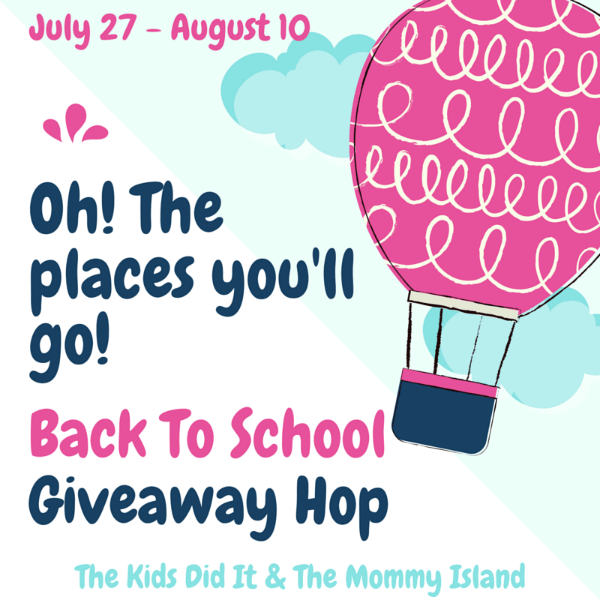 Aging Like a Fine Wine is participating in the “Oh the Places You’ll Go” Back to School Giveaway Hop hosted by The Kids Did It and The Mommy Island! 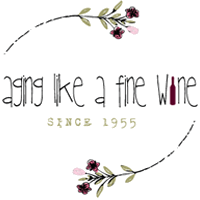 School supplies included in this giveaway…. Plus books that will make your child ready for school…. And the best part of the giveaway? 8 books to spark excitement in your child about going to school! 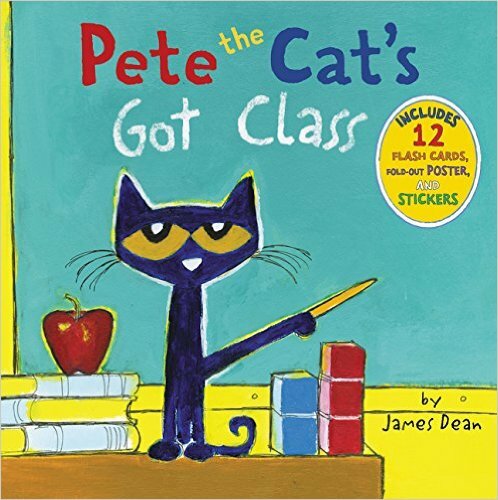 Pete the Cat’s Got Class – Pete the cat helps his friend Tom learn to love math and he’ll help your child learn to love math too! 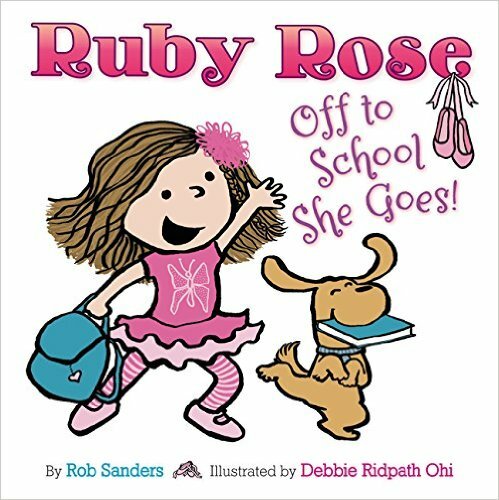 Ruby Rose: Off to School She Goes – Ruby Rose is exited about school, but all she wants to do is dance when she gets there. What will the teacher do? 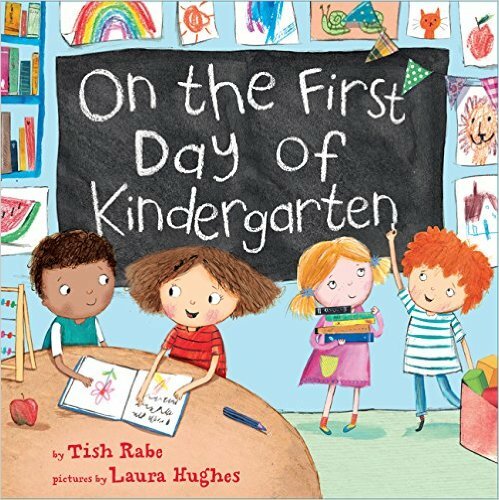 On the First Day of Kindergarten – Share in this little girls fun experiences at kindergarten, especially riding the school bus! 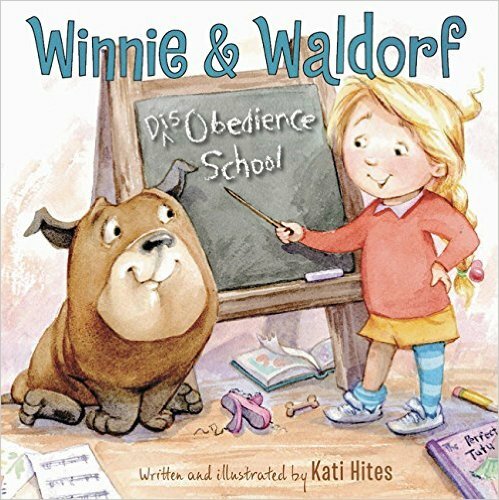 Winnie & Waldorf: Disobedience School – Waldorf has been misbehaving! Now Winnie is going to make him go to disobedience school. 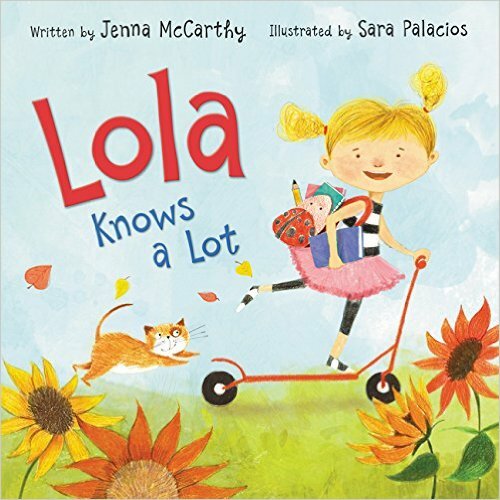 Lola Knows a Lot – Lola knows about all kinds of things like tying her shoes and doing cartwheels. But she’s not sure she’s ready to go to school! 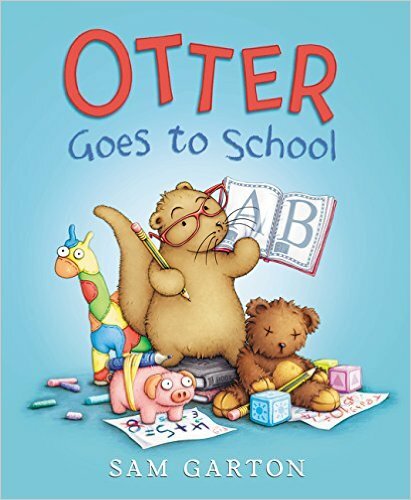 Otter Goes to School – Otter decides that all of his stuffed animal friends and toys need to go to school so they can learn like Otter Keeper. And guess who gets to be the teacher? 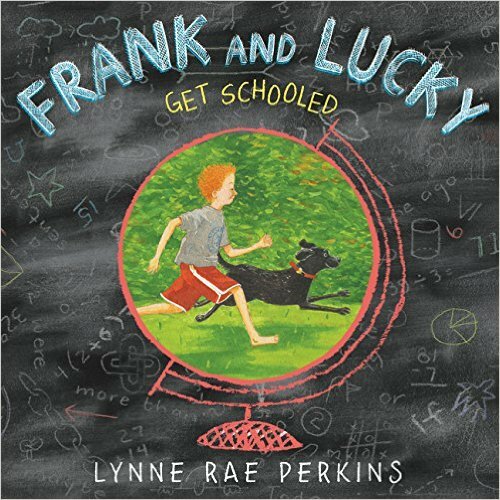 Frank and Lucky Get Schooled – Frank’s parents take him to the dog pound where he finds his new best friend Lucky. Frank and Lucky both love to learn and their days are filled with learning math, science, geography and more. 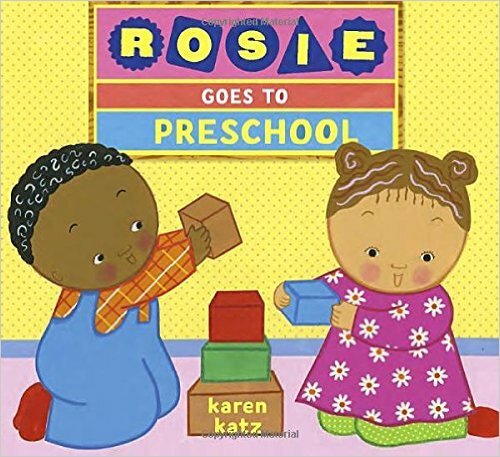 Rosie Goes to Preschool – Rosie shares all about her days in preschool and gives helpful tips to your preschooler all along the way. The lucky winner of this giveaway will receive all of the above items, valued at $125.00! So be sure and enter now and as many times as you’d like! All of the items in this giveaway were either purchased by me, or given to me without any remuneration. This giveaway post will be shared on some of the lovely link parties found on my “Where I Party” page! Yes, my grandsons are so excited to head back to school! That’s great! What grade will they be in? I love the books you chose! Looks like some goods ones! It seems the summer flies by way too quickly. I hope she is very excited and ready when the first day arrives! My niece and nephew both seem to really like school once they are there! I’d love to give this to them. I’m glad they like school, it certainly makes it easier on the parents! Good luck in the giveaway. SO super excited!! He loves all of his friends there!! That’s wonderful, makes it much easier on you than if he didn’t want to go back! What grade will he be in? There are very excited, but we still have fun planned beforehand. Good for you! Summer’s not over yet! My Granddaughter is ver excited to start kindergarten this year. How sweet. How do you feel about her starting kindergarten? It’s such a big step and means she’s growing up! My son will be starting preschool. He’s very excited to meet new friends, new teachers and learn new things!! We’re very excited for him too. How exciting for him. I hope he loves it! No my son is not excited, however… he loves reading! Hopefully he’ll be ready to go back to school before the big day arrives. Good luck! My grandchildren aren’t too thrilled to go back to school. Hopefully some new school supplies will get them excited! That does always seem to help! My two grandchildren are ready to go back to school. They are getting bored so it will be good for them. That’s great they’re ready to go back. He is starting to get a little excited, he is in a mini camp for 3 weeks a few days a week, and some of his friends from school are in it too. He is having alot of fun seeing them again. That’s great. I’m sure it is helping him to get more excited about school. The kids in our family are excited for school. They like seeing friends they’ve missed all summer. My son loves school and is very excited to meet his new teacher and see his old friends again. My nephew is both excited and nervous. However, he is more excited about seeing his friends soon. No, the kid is not looking forward to school. I think my daughter is excited to see her friends again, meet a new teacher, and have that social interaction. Also, she’s not excited to start getting up early, have homework, and not have as much fun in the sun each day. My son is starting Kindergarten, so he’s…apprehensively excited! We’ve been reading lots of books about starting school, and he got excited to buy a backpack; he’ll be fine! It’s only preschool, but she’s pretty excited especially since she had to get potty trained for it! HAHAHA. my daughter is going to 3rd grade,even though she wont be with her best friend this year she is very excited to see her friends. My daughter is excited to go back and see all her friends. this year they all change schools and other schools merge with them so she is looking forward to it. No, they don’t want summer to end, but I am really excited! I check calendar often. My kids are excited but nervous. There are no children in our home. Hoping and praying that there will be soon! My 12 year old sister already started, she was so excited to get back to school! My oldest is going into 1st grade, and it starts tomorrow. She’s so excited about it! My niece is excited! It’s going to be her first year!